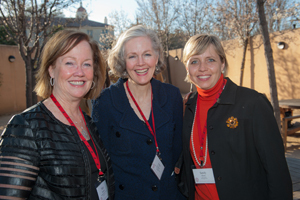 The 2013 Senior Executive Summit (SES) took place March 10-14 at the Stanford campus in Palo Alto, CA. 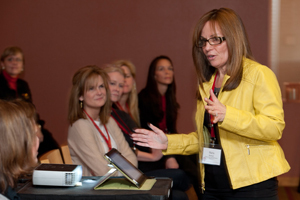 During this program, the highest-ranking women in cable honed their leadership skills and learned advanced techniques for furthering innovation within a company; reviewed findings in neuroscience and the connection to exemplary leadership; and discussed the important role conflict can play in team relationships. 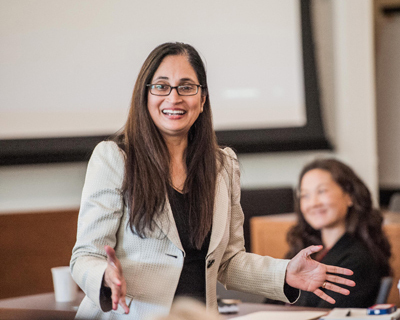 In addition to the esteemed Stanford faculty, Padmasree Warrior, Chief Technology & Strategy Officer of Cisco Systems, joined the lineup of speakers and instructors, inspiring program attendees with her very personal insights into strategy, technology and leadership. 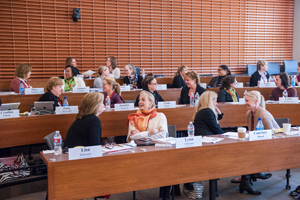 Following the successful debut of the program, WICT is pleased to announce that the dates of the 2014 program will be March 16-20, 2014, to be held on the campus of the Stanford Graduate School of Business in Palo Alto, CA. 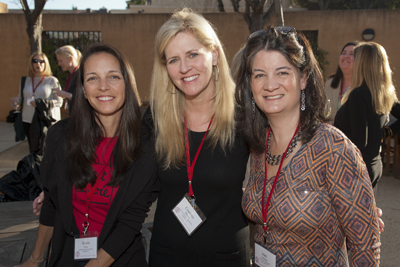 In 2014, WICT and Stanford will once again collaboratively develop a continuing curriculum to provide fresh and engaging content.